Flower Garden Chair Bags, Finished!! I am always in need of storage, especially in my son’s playroom. My mum used to make us chair bags to take to school each year and I loved them. 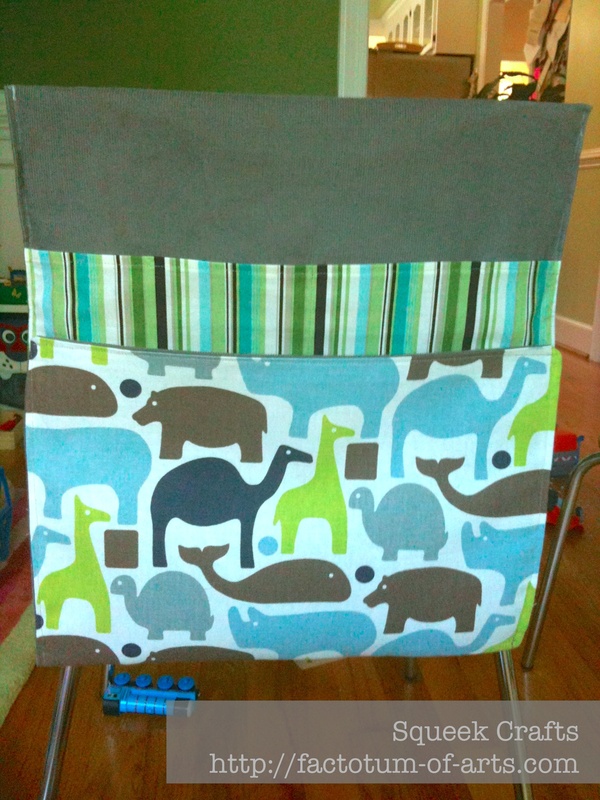 So, one of my first sewing projects was a set of chair bags for my son. We use them to help store his stencils and coloring books. They are working out great. I now make a lot of them for other people, mostly friends as gifts. Here is my new one, I love the flower print that I got of spoonflower.com. I hope the little girl likes it. Main Pocket: Custom Flower print designed by Tamara Serrao and available from Spoonflower.com (printed on Kona Cotton). It is lined with limeade corduroy. Back: is made with Robert Kaufman Limeade corduroy. I also have one of these available on my etsy store. 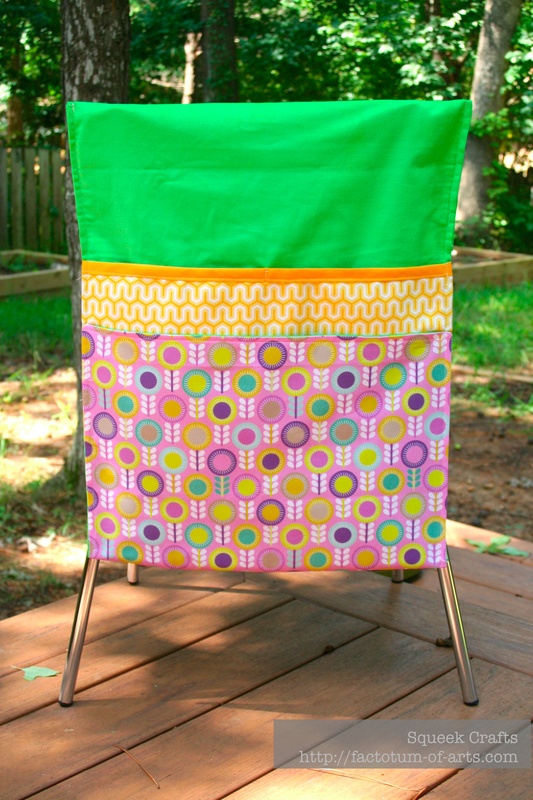 Linking up with Amanda Jean over @ Crazy Mom Quilts for Finish it up Friday. 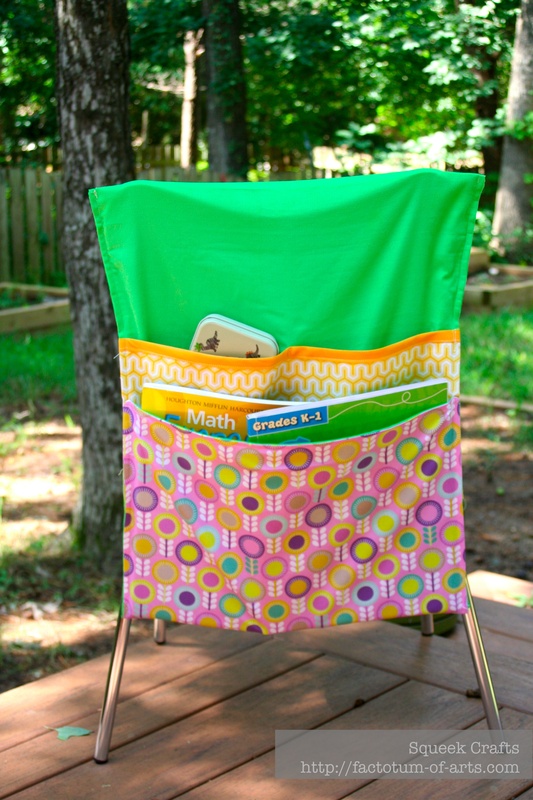 This entry was posted in Uncategorized and tagged chair bags, chair pockets, corduroy, diy, Finish it up Friday, Flower garden print, home, Lori Whitlock, sewing, Simply Sweet, Tamara Serrao on August 10, 2013 by mlwilkie. love the chair bags! I have them in my classroom and they are so helpful! What lovely chairs. I had never heard of chair bags before.